If you're looking to hire a skilled application developer for your project, you've come to the right place! I've worked on a number of high profile projects for clients such as Footlocker, Publishers Clearing House, and Hitachi. I'm extremely passionate about developing quality software using best practices and open source tools. Check out my portfolio for the projects I've had the pleasure of working on. I've recently began consulting on troubled projects. If you need a review or team recommendation, please don't hesitate to contact me. I'm currently situated in beautiful upstate New York; specifically the Capital Region. Hit up the about for a more in-depth rundown. 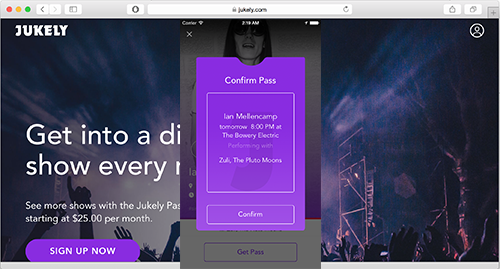 Jukely is an amazing startup providing unlimited concerts to subscribers. I worked on many aspects of the project such as the RubyMotion native iOS app, formulation of a clean v2 rails API, and even some AngularJS SPA work for the next incarnation of their web site. Jukely is a hot new music startup offering unlimited concerts for a reasonable monthly subscription price. I added the unlimited concerts feature to their existing native iOS RubyMotion app. I also spearheaded the second version of their REST API using Rails, and worked on a single page AngularJS redesign of their frontend. Technologies Used: RubyMotion, Ruby on Rails, Postgres, AngularJS. 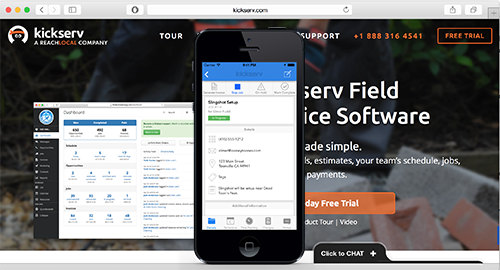 Kickserv is a field service application for small business service companies. It allows users to manage leads, estimates, your team’s schedule, jobs, invoices and payments. I built the entire original iOS app with Objective-C, as well as working on the rails backend. Additionally, I built some ruby data import tools for clients to get their existing data into the application. Technologies Used: Objective-C, Ruby on Rails, MySQL. 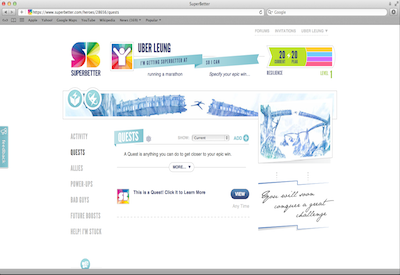 Superbetter is a fun online social game targeted at users who want to improve their life through health, diet and fitness. Players can invite allies and do quests to improve their quality of life. I worked on many aspects of this site, including complex scoring algorithms regarding players resilence scores, activity feeds, and a ton more. Technologies Used: Ruby on Rails, JQuery, Mongo, MySQL, XHTML, Facebook API. 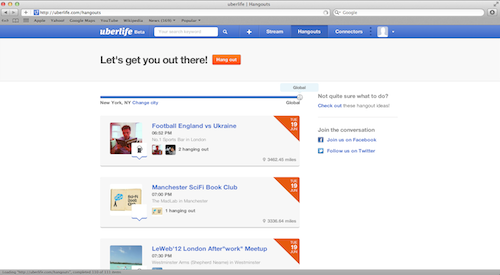 Uberlife is a social networking site centered around real world hangouts. You can arrange hangouts with friends and meet new people as well. I worked on many aspects of this application including: the iOS application, web app, and REST API. Technologies Used: Ruby on Rails, JQuery, Mongo, XHTML, CSS, Facebook API, Twitter API, last.fm API, Fandango API, Objective-C, Cocoa. Gazopa Answers was a project I worked on for Hitachi. 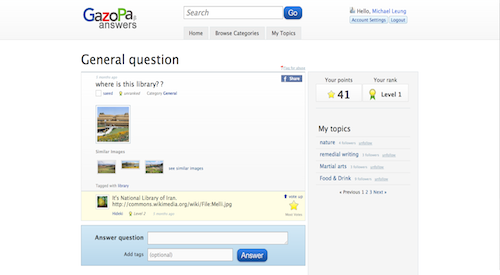 The site allowed users to post arbitrary images and ask other users in the community a question regarding the image, e.g. Where can I buy this shirt? etc. It used the Gazopa similar image search API to display corresponding images. The entire Gazopa suite of web applicaitons is now defunct. Technologies Used: Ruby on Rails, JQuery, MySQL, XHTML, CSS, Gazopa image search API. The Club is a site I developed for Lady Foot Locker that is geared towards user interaction. There's user generated quizzes, a fitness tracker, a blog and more. Technologies Used: Ruby on Rails, JQuery, MySQL, XHTML, CSS, The Facebook API, Wordpress. Prize Patrol is a site I developed for Publishers Clearing House. It's used to track locations of the Prize Patrol team, as well as keep users informed via photos from the road, videos, and status updates from: Twitter, Facebook, and the Prize Patrol blog. 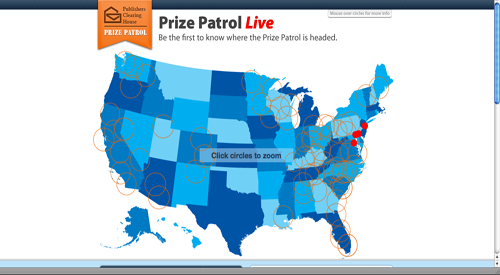 The most interesting feature on this site, is the fully interactive jQuery based map that shows the locations of the prize patrol team. Technologies Used: Ruby on Rails, JQuery, MySQL, XHTML, CSS, The Twitter API, The Facebook API, The YouTube API, Git, RSS. 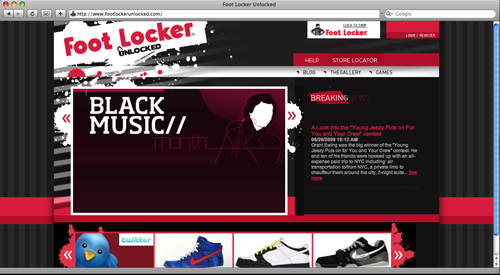 Foot Locker Unlocked is a social site centered around sneakers. My partner El Draper and I completed all the Ruby on Rails development for the site, as well as integrating flash components, configuring the servers that power the app, and setting up a wordpress blog for Footlocker. Technologies Used: Ruby on Rails, JQuery, MySQL, XHTML, CSS, Wordpress, Google Maps, The Facebook API, Git. 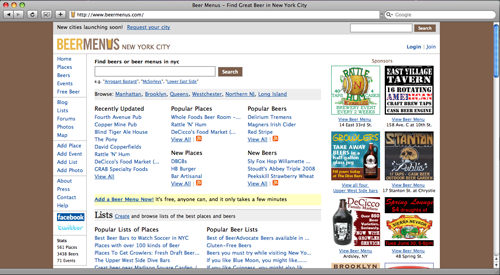 Beermenus is a web application catering to craft beer lovers. It provides up to date menu information for numerous bars in three major cities, with plans to expand nationwide in the near future. I built and launched the original site. Technologies Used: Ruby on Rails, Prototype, Scriptaculous, MySQL, XHTML, Feather, Git. 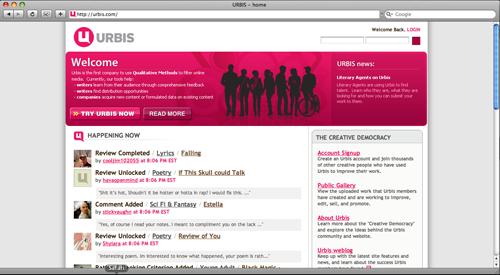 Urbis is a social network for writers. Users can submit their work and receive community reviews. I served as the lead developer and project manager for Urbis LLC, for about a year. Technologies Used: Ruby on Rails, Prototype, Scriptaculous, MySQL, XHTML, CSS, Wordpress, SVN, Git. 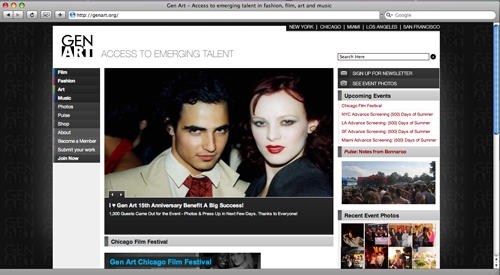 Gen Art is a high profile fashion events company in New York City. While under the employ of Urbis LLC, I managed development of the custom rails CMS that powers genart.org, interfaced with the clients, as well as designed much of the initial CMS application architecture. Services Provided: Project Management and application architecture design. Koujou - Sweet Factory Goodness. 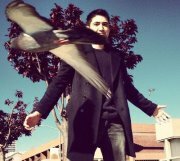 Feather - The open source merb blogging platform. Interview Trail - Web application for med students. Meeting Scout - A site for meeting planners. Blue Buzzard Surveys - A web app for hospitality surveys. Gear Trak - A fun project, built to track game scores. © 2009 - 2015 Michael Leung. All rights reserved. Creating software for me is not only my profession, it's also my hobby, and my passion. Which, I have to admit is truly awesome! I get paid to do what I really love. I've been developing software professionally since people were afraid of the Y2K bug (google it if you're not familiar). I started out with web development, then moved to desktop coding, and now I do it all including mobile. I've been working with Ruby on Rails full time since 2006, and I totally love it. In addition to Rails, I've done a number of small utility based Sinatra applications, as well a fairly large open source Merb application: feather. There's more to life then just software though. When I'm not coding, I enjoy physical activities such as: training and teaching martial arts including: Muay Thai, San Da, and Boxing. I'm also a fairly avid gamer, car enthusiast, and comic book aficionado. If you wish to hire me for a project of any scope, please fill out all the fields below. Wrong answer! What are you playing at?